One of my first pitched projects, the LEGOLAND Discovery Center Chicago Review was one of my funnest blog posts reviews. The hubby and I took Lil Man to the center for his birthday, and of course, he had a blast. I really have a thing for and love companies that give back in some ways. After contacting HALF UNITED, they graciously decided to work with me and send me one of their most unique necklaces: the bullet necklace. Made from an actual bullet casing, the bullet necklace represents a great mission. When I'm not debuting a new post, I am generally doing ALOT of blog reading and participating in Facebook group threads. Over the course of a few weeks, I started to notice a few things that were bugging me, and wanted to offer some help. In July, I finally hit 1k followers on Instagram and shared 15 tips on how you could too grow yours. Clean, crisp pictures are the foundation of every blog post, and I shared 13 of my FAVORITE places to get some. My first gift guide was a huge hit. Featuring brands like HALF UNITED, The Daily Tay, and more , each company on the list gives back to the community in some way. And each product is amazing. 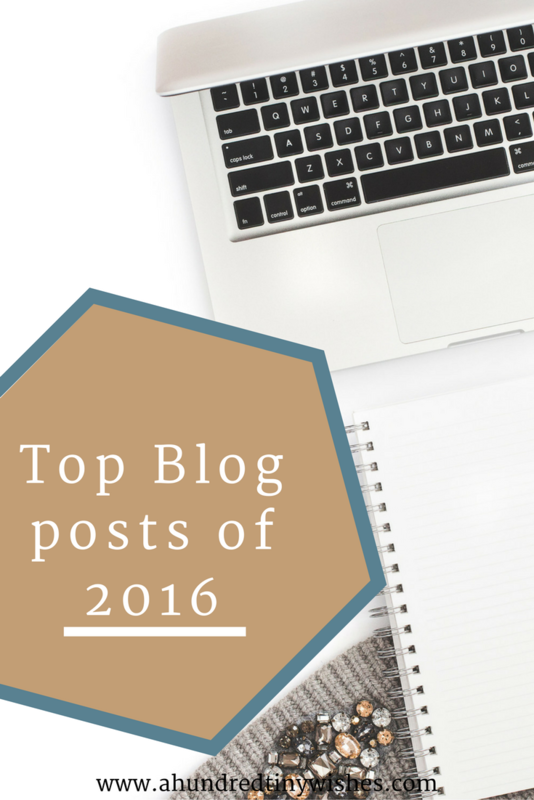 What was your favorite blog post of 2016?